The long awaited teaser trailer has arrived for the next installment of Star Wars and it brings the feeling back that’s been gone since Episode 3. 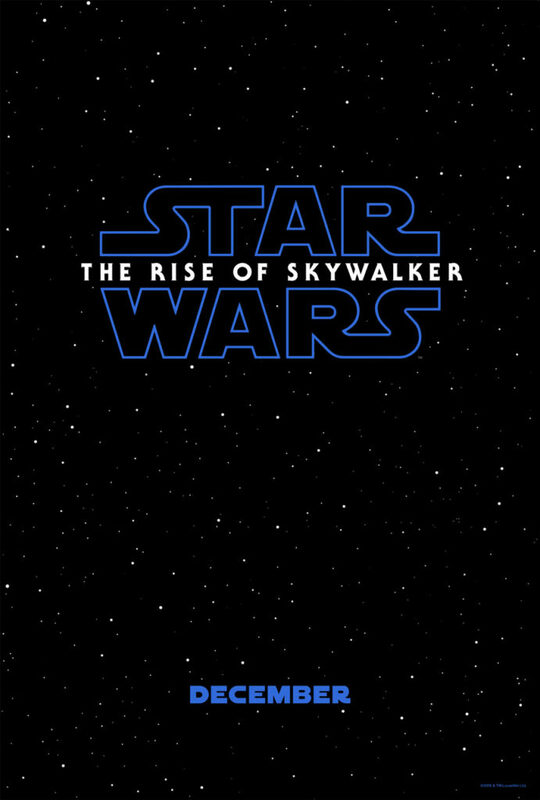 The Official name and working title is “Star Wars: The Rise of Skywalker” harkening to an earlier time in the Star Wars Extended Universe. While people are feverishly analyzing the footage provided we can certainly say “There is a lot of nostalgia here”. To add to the cast we have Lando returning (as mentioned in our last Star Wars article), the last footage of the late Carry Fisher, and a spooky laugh from “Zappy Pappy” Emperor Palpatine. Altogether it should be a solid “Wrap-Up” of the story as long as they can stay true to the original method. Looking over the footage flashy set pieces and impressive CG Spectacles are abound the Producers and Director are saying “It will have a far more real-world feel about it”. The “World Building” that seemed to have lost much of it’s appeal in the last 2 “Official Films” like “Knock off Hoth with salt” and “Jakku being another Tatooine” or “Takodana being a somewhat colonized Endor”. 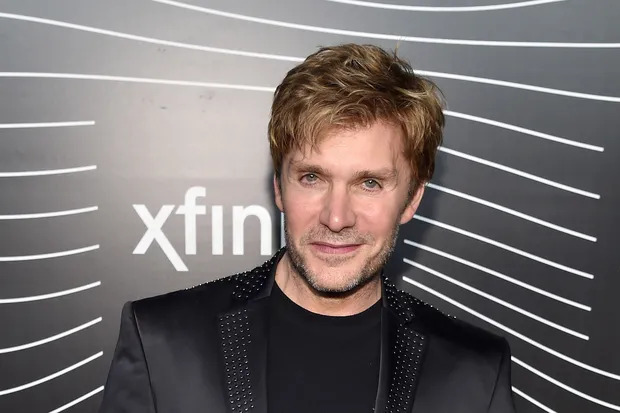 All this being said by the “Looks” of it we’re getting what seems to be some sort of “Condemnation arch” were the bad-guy actually resolves on becoming the monster he’s always tried to be rather than “Giving into the good”. Prince Kylo obviously having pulled the trigger on Leia in the last movie seems to be all out of sorts. 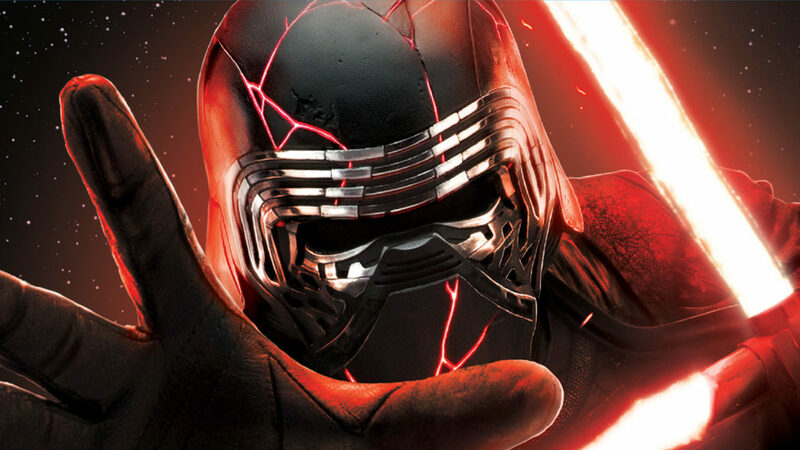 So much so that after killing “Big Bad Snoke” for making him “Break the mask that grandpa Vader would have been proud of” and trying to get him to slay his crush he decides to fix his “Spooky Mask” (Death Mask for the Sith Cultists if you were into the expanded universe). 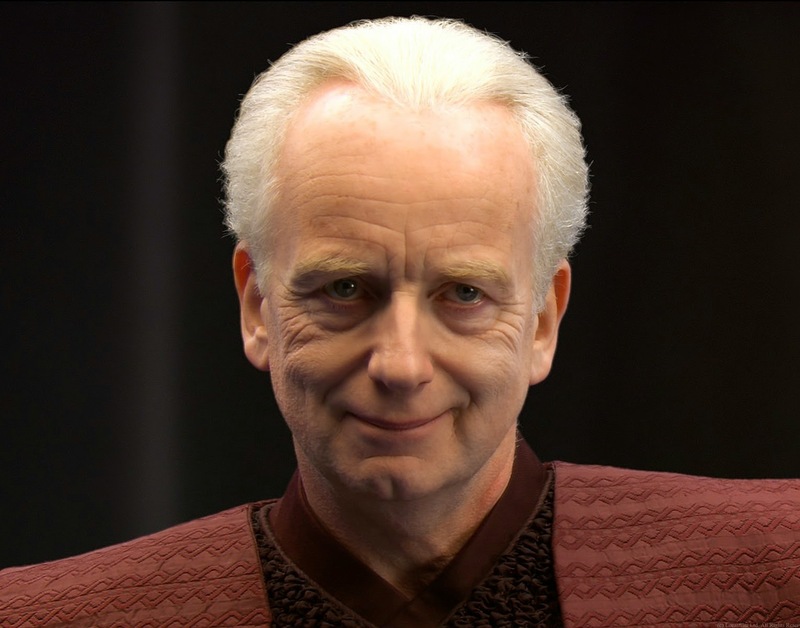 To tie it all together at the end of the teaser we get the “Voice Over” of the long dead “Emperor Palpatine. Remember when he got thrown into the Death Star II’s core and exploded like a water balloon filled with lightening? If it’s irony or just a solid nod to the old defunct “expanded universe”. The Emperor was obsessed with immortality and the prospect of clones. We’ve not been given much to go on but the foreboding laughing at could either be one of Disney’s classic “Fake out lines that are never in the movie but somehow in the trailer and no one bothered to do anything other than use said bit of sound-bite to embelish nostalgia and force a content expectation that won’t be there thus denying the fans what they thought was going to be there and leave us all bitter and angry that it never happened” like they’ve done with so many movies in the past decade. 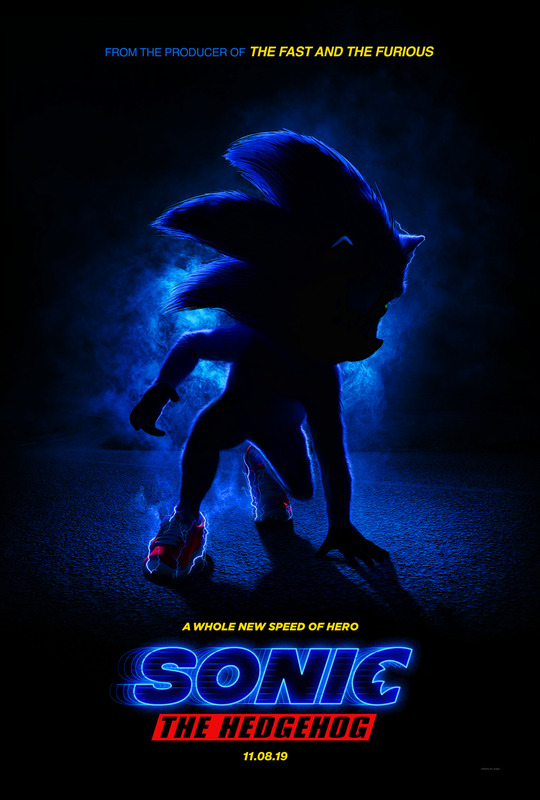 While it’s not as scary as the first Sonic the Hedgehog teaser poster it’s still a little jarring. It’s been almost a year and the designs for “Sonic” The Hedgehog gave Modern and Retro Gamers a reason to collectively groan and hang their heads. While Hollywood does not get Video Games like they did back in the 90s (yes, we liked Mortal Kombat, Super Mario Brothers, and the campy Street Fighter movies) some modern “versions” of “Game Movies” like Assassin’s Creed and Tomb Raider serve as middling “Pop Corn” flicks but not quite rip-roaring, laugh inducing, action packed blockbusters that they were. As a kid who played Sonic the Hedgehog 2 on the Sega Genesis we were hamstrung with a game that was more action packed than it was complex (like Super Mario World was for the SNES) which would draw us to peer hard at the sprites that were our avatars. 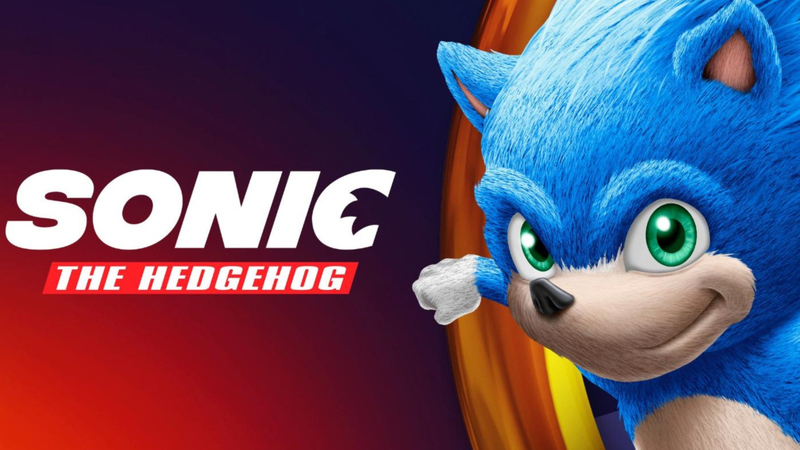 All things considered this is pretty close if we’re going for “Realism” however an anthropomorphic cartoon hedgehog with a colossal forehead in the image to the left may work alongside living actors. However, will it be a dynamic character? Will the interaction be more than stilted “One Liners” and berating the world about not having a “Chilly-dog”? 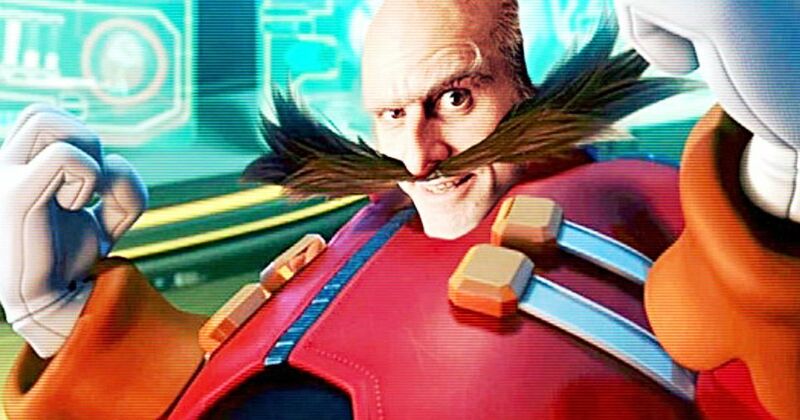 We know “Jim Carry” is going to play Doctor Robotnik. We’ve got a bunch of “Main Cast” characters that are human which will probably interact with Sonic just like the Human cast did in Who Framed Roger Rabbit. None of the other “Archie Comics” or “Sat AM” characters have been revealed but we have seen some “Principal Photography” of a large Billboard describing the town of “Green Hill” which is a nice nod despite the fact that the Sheriff patrol car in the background is not a Mobius Flying Patrol Vehicle but a Modern Day police-car. A fan rendering of Jim Carry as “Doctor Ivo Robotnik”. Will it blend? We don’t know yet. However, character designs aside we’ve seen Hollywood do worse to “Video Game Based Films”. I remember the atrocity that was Doom with the “Genetic Tampering BAD” narrative and the whole “Demons from Hell” getting gutted from the story or the convoluted Uwe Boll “House of the Dead” and “Alone in the Dark” abominations that tarnished the solid horror of the original works. The clock is ticking on Sonic and it will require a solid viewing to tell weather or not Sega has gathered the Chaos Emeralds and produced a worthy product or they’ve run headfirst into a spike trap and lost all their rings. Remember when your childhood was so much simpler? We called it before it happened. 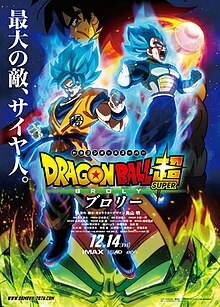 The voice of Broly, stands accused of…. Monica Rial is a major “accuser” out of Vic’s colleagues which she seems to be taking the whole situation in a stride. Concerning the subject she seems to have a large focus, almost obsessive, on Mr. Mignoga after having “Disclosed” his “Creepy Behavior” which she has “Forgiven despite him not asking for it” and even has gone as far as to say her “Lawyer advises her to stay off twitter”, only to continue talking about it. The above Tweet covered her experiences far less vaguely than Monica did. She mentions how Funimation, like Vic’s Fans, was caught up in hero worship and that the whole thing was brushed off. Her experience was horrible, tragic, and despite it she persisted, marched forward, and continues to be an exemplary actor. Edit: We do not condone any kind of harassment or threatening behavior being directed at anyone. Light him on fire and send him to hell. Forward: While The Legend of Zelda was many of my generation’s first Adventure games nostalgia sometimes is hyped too far. Many games we play today dwarf what we considered standard in our youth, however, Zelda and Zelda 2 for the Nintendo Entertainment System were and still are some of the best and harder titles from the Retro Gaming Hall of Fame. When asked at a Game Development company “What was my favorite game?” Zelda 2 was the answer and I stand by that. Not a game to keep playing over and over again after beating it a few times but for sure a game worth it’s place in the author’s mind. 1. A top-down traveling “Overworld” where you go between the various locations and navigate the world at large. 2. A Side-Scrolling Adventure Platformer with unlockable doors, findable items and upgrades, and a Pseudo-RPG Leveling system where you spend experience earned by slaying monsters on Magic, Life and Spells. Pushing the limits of the NES. Graphics: The Nintendo Entertainment System was put to the test in some of the scenes. You knew there was a problem once too many monsters got on the screen and they started disappearing. That was the systems limitations though. The overall visual was pretty good. The contrasting colors and layout kept to the Fantasy theme and colors made for establishing the visual asthetic of the world of Hyrule. While the sprites were simple you got a pretty good idea of what you were up against. They even forced you to navigate tunnels in the dark until you found the “Torch” which was some interesting world-building at the time. The color palette was stark but that’s what you get in a fantasy world where the ruler’s been K.O.ed by a phantom Pigman. Music & Sound: Classing for what it was as far as 8-bit chiptunes can go. Sometimes, while I’m driving to conventions or looking for something that tickles the mind for writing fantasy I’ll throw on some of the soundtrack (like the playlist from above). The atmospheric composition and overall field fits the world nearly perfectly. Accompanying the music is the sound; Crisp and percussive. When you got hit you’d hear “OOF” and when you hit metal with your sword you’d hear the clanging of metal or when a fairy was near the soft bell chime. Classing and nearly perfect. Nearly. The low health beep broke the immersion and always added a serious air of tension because you knew “Death was near”. Replay: If you’re not going to use a Walkthrough or all the various exploits you could be lost for a long time playing this game (thanks to Nintendo Power as a kid I was saved). The NPC’s in the various villages are “hardly helpful” and some even lie to you or try to kill you as I found about quarter of the way into the game. If you have not played, you have to at least try when you get a chance. They released the Classic NES Mini with it and it can be obtained from many retro-resellers for your NES or NES Playing system or the Nintendo Arcade on the Wii-U or Switch. An image of the Gold Cart. Priced $35+ at Retrogameage. In the End: Nearly a 5/5 in our eyes here at Chasing Sasquatch, Zelda 2 is a solid Retro Gaming Classic. While it may be a little hard to find a hard-copy and some folks think they can sell it for more than 20 because of the “Gold Cart” that the game is housed in it’s always a nice centerpiece to a collection. 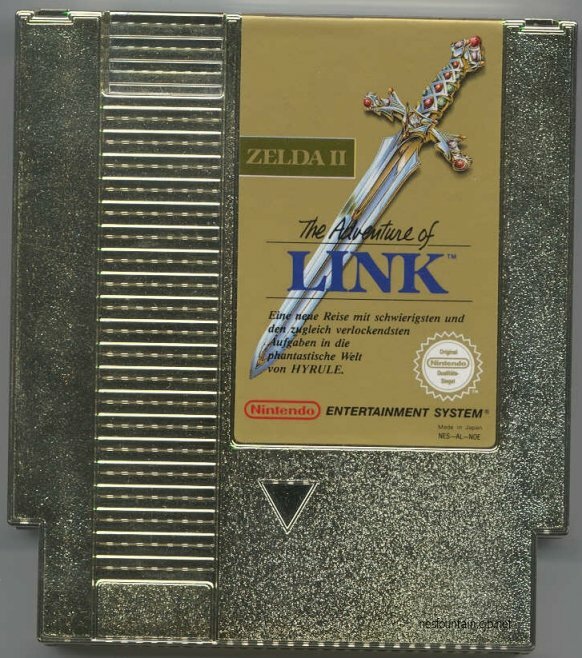 Always remember, if it was hard back then it may be still to this day and Zelda 2 is no exception to the rule… The Hyrule. Today we’re looking at the strange case of Programmer Daisy Roth and the subsequent use and abuse of her image, general misrepresentation, and gross application of bullying through published works and disassociating while retaining images and content posted. The Video covers the gist of what’s going on and while she mentions the “White men” buzzwords a few times this is because of what she encountered. The correct response is “You can do whatever you want.” not this diatribe into who does what. Come on don’t you know a snarky sarcastic comment when you see it? Until a time we can get a comment from Joseph R. Russo and company through our official page on Facebook this is all the data that we have. They are welcome to offer their side of the story.